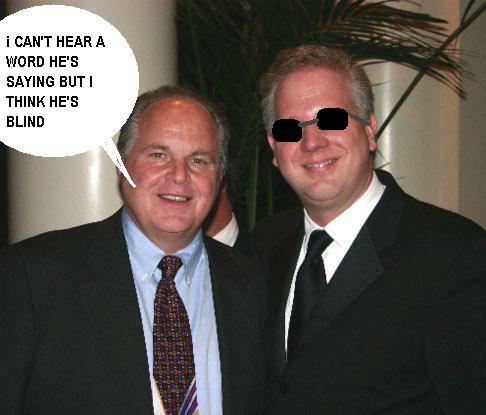 First Rush Limbaugh went deaf and then Glenn Beck annnounced that he’s going blind, but just when you thought the news couldn’t get any worse, it was announced today that Sean Hannity’s doctor’s have discovered that the Fox pundit is rapidly losing his sense of touch. Hannity is taking this in stride and he has the support of fans. 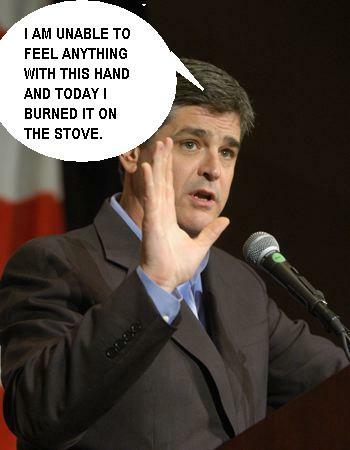 Even his former rival Alan Colmes said he was deeply touched by Sean Hanitty’s inabilty to touch. Hannity will continue to work but assistants will have to tell him when he is holding a microphone and not a fork in a toaster. “I wished this on them,” said allegedly insane TV anchor Keith Olbermann from his voodoo cave in Haiti where he spends hours each week wishing death and illness and infirmity on people. When Hannity learned that Olbermann was behind all of this he was not angry. Despite his death and illness wishes, Olbermann is not above losing things himself. In ten years he has lost just about every job he’s ever had and he’s lost pretty much all of his viewers.